Reports from sources on the ground show that new microgrids and nanogrids in Puerto Rico proved their worth last week, providing resilient power in the wake of an island-wide grid outage April 18. Still struggling to bring parts of the island back from September’s Hurricane Maria, Puerto Rico was plunged into darkness when a contractor’s truck severed a main utility line. Adam Gentner, Sonnen Batterie USA’s director of business development for Latin America, was in Huamacao, in southeastern Puerto Rico, when the utility grid went down April 18. 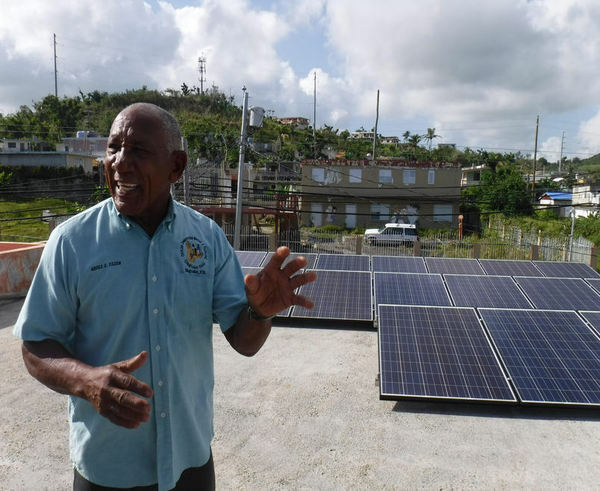 “We were at one of our donated microgrids in Mariana de Humacao when the power went out yesterday, so we did not realize there was a blackout as we had uninterrupted power provided by solar and batteries,” Gentner told Microgrid Knowledge. Mariana is a rural, cash and employment-poor town in southeastern Puerto Rico. Most of the town’s residents still lack connection to the island territory’s utility grid, so there wasn’t much in the way of a reaction to the latest power outage, Gentner explained. “Unfortunately, on returning to San Juan, we did need to contend with the lack of power. Most shops, including the large malls, are closed. All of the stoplights are out. Some of the hotels that have had reliable generator power even directly after the hurricane were turning people away, as their generators are beginning to falter and in need of maintenance,” he said. Launching a humanitarian relief initiative shortly after Hurricane Maria struck, Sonnen Batterie USA and Puerto Rico-based Pura Energia have deployed approximately 1 MW/2 MWh of solar-plus-storage nano/microgrid capacity in communities across Puerto Rico. The partners deployed their 11th system in Bartolo, a small (pop. ~7,000), rural community located in the mountains of Lares on April 17, just one day before the latest grid outage. That microgrid continues to deliver electricity to the community. 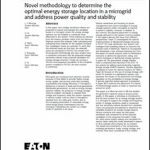 So do the other solar-plus-storage nano/microgrids the partners have installed. “Customers have called and texted us expressing their gratitude and their excitement for being able to count on having resilient power at their residences,” said Jose Vasquez, Pura Energia’s president, told Microgrid Knowledge. The nano/microgrids Sonnen and Pura Energia have installed make use of the Sonnen eco energy storage system and energy management software to integrate solar PV, batteries and back-up diesel generators. They store and dispatch 24-30 hours of electrical energy in the event of a grid outage without the need for recharging, according to Vasquez. “Customers have reported that in the eventuality that they ran out of stored energy, they power on the generator for two to three hours to recharge the batteries within the Sonnen system. The next day, solar energy is produced to provide energy to their houses and for battery recharging,” Vasquez said. Resilient Power Puerto Rico and local project partners have been deploying small-scale solar PV-energy storage microgrid systems in under-served communities across the island territory since Hurricane Maria wiped out much of its utility grid infrastructure. The non-profit, disaster relief organization was created by professionals with family or other strong ties to Puerto Rico. “We contacted the recipients of the donated solar energy installations shortly after the general blackout, and they all reported that the systems worked perfectly, and some didn’t even notice that there was a power outage. 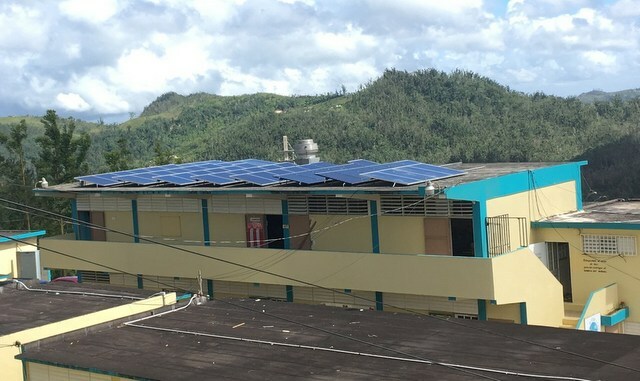 The operations in these community centers continued as normal thanks to the solar panels and the battery backup,” said Jan Curet of Resilient Power Puerto Rico. The first report Resilient Power Puerto Rico received in the wake of the latest grid failure were from three system sites in el Caño Martin Peña. “It was very positive: Everything worked perfectly, and some of the users weren’t even aware that there was a blackout until later,” said Resilient Power Puerto Rico’s Rachel Frank. A Resilient Power solar-storage nano-grid located in Daguao, Naguabo was reportedly working as well. The situation was the same in Casa Verde and Atmar, both of which are located in the municipality of Maunabo, near Puerto Rico’s southeastern coast where Hurricane Maria first made landfall. 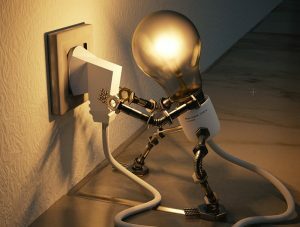 “They say the systems are working perfectly, even though they weren’t affected by this particular general blackout. The whole municipality of Maunabo is still running on Army Corps [of Engineers] generators,” Curet explained. Throughout the outage four US Army Corps microgrids, all run on diesel, also continued operating in island mode, according to Maj. Catalina Carrasco of the Army Corps’ Task Force Power Restoration. The 884 emergency power generators deployed by the Army Corps and state-owned Puerto Rico Electric Power Authority (PREPA) delivered power as well to critical facilities, she added. Government authorities said an excavator, or bulldozer, severed a main utility grid power line near a PREPA power plant some 50 miles south of San Juan, Puerto Rico’s capital city. The second outage in a month caused by reconstruction, the accident highlighted how a single point of failure can bring down a centralized power grid that serves some 1.5 million customers. PREPA had restored grid service to 97.2 percent of its customers by the next day, all those it had reconnected since an island-wide grid restoration began seven months ago. In coordination with state-owned PREPA, the US Army Corps of Engineers focused on bringing its three, 25 MW generators at the Palo Seco and Yabucoa power plants online. All three were up and running as of 12:55 pm local time on Thursday, April 19, Maj. Carrasco said. The outage occurred as Puerto Rico begins another hurricane season, which runs from May through November. Residents in the communities with Sonnen and Pura Energia microgrids have been practicing for future outages, Gentner said. Track news about development of microgrids in Puerto Rico. Subscribe to the free Microgrid Knowledge newsletter.